The classic triangular domino game! 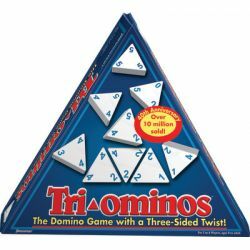 Score points by matching numbers on the three-sided playing pieces. 2-6 players.